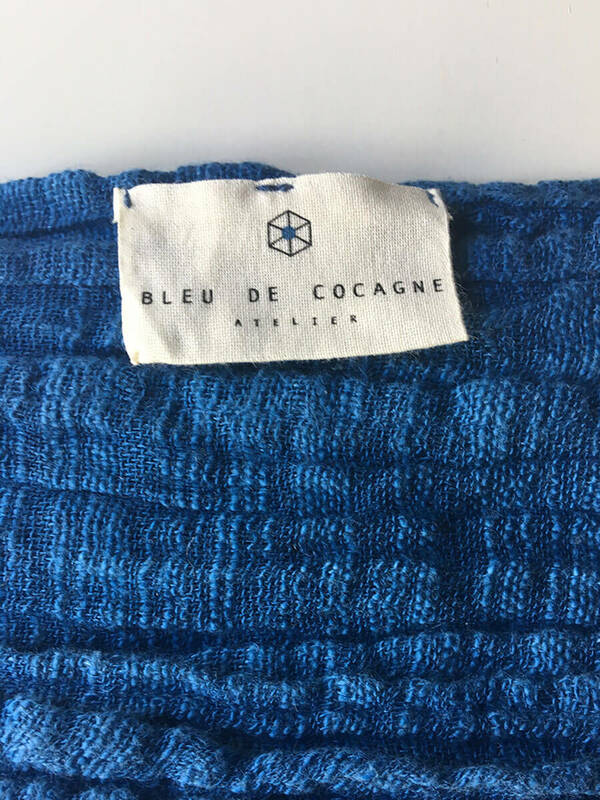 Bleu de Cocagne is a brand based in Toulouse, where the woad (European ancestor to indigo) has been used for more than 500 years. Born out of the desire to collaborate with artisans and rediscover ancient techniques, they offer premium clothing designed to pass the test of time. 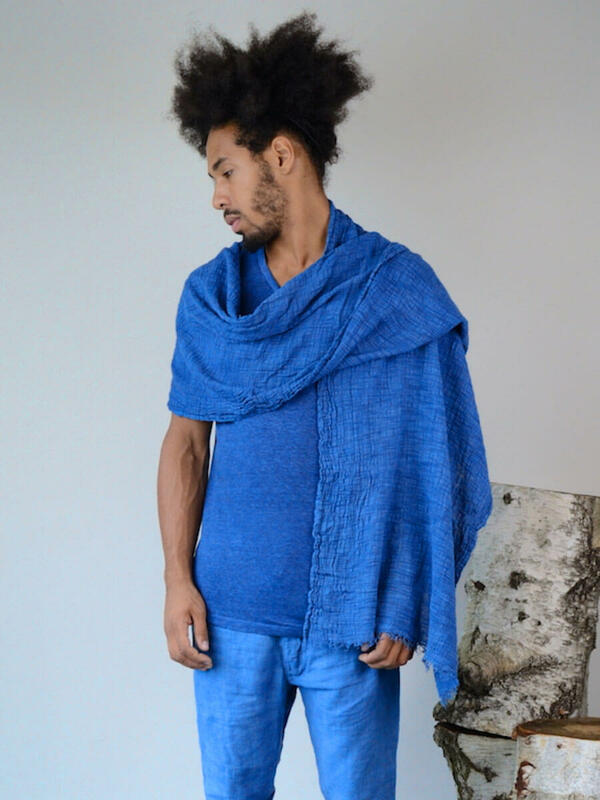 All their clothes are made in Portugal and then hand dyed in France. 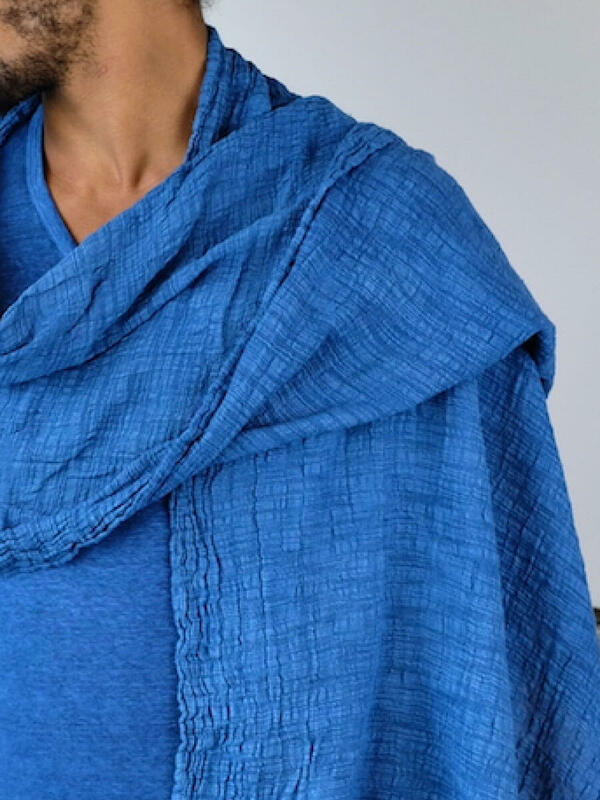 Potential color variations from one item to another are due to the artisanal dyeing process. Composition: 51% Cotton / 49% Linen of European origin. 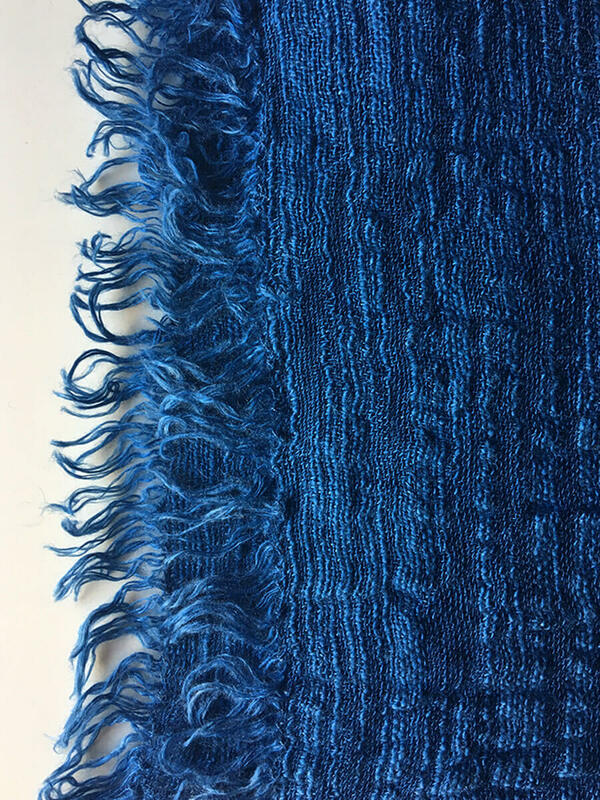 Fabric: Irregular yarn, it has a very soft hand feel.